An ancient Christian tradition that began in England, the majority of Anglicans now live in Africa and the southern hemisphere. 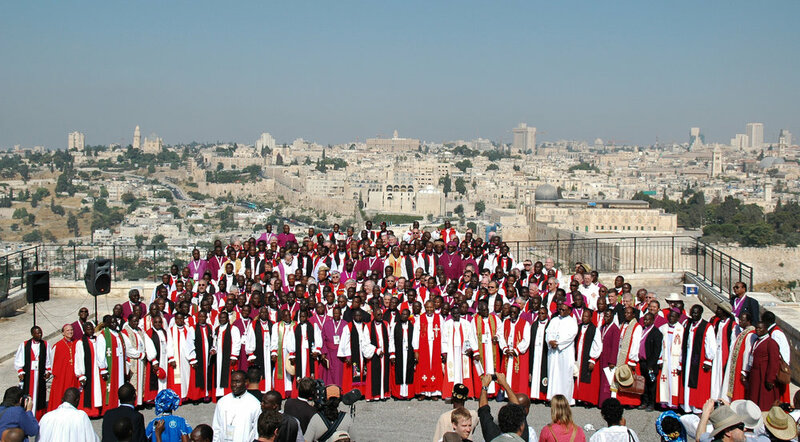 Pictured above are Anglican Bishops from around the world gathered in Jerusalem in 2008. We are part of a regional network of Louisiana Anglicans, which is working to plant new Anglican Churches. We enjoy a warm fellowship with one another and are eager to see the greater progress of the gospel in Louisiana. We are a Fellowship in the Anglican Diocese of the Western Gulf Coast, serving under the spiritual authority of our Bishop Clark WP Lowenfield. Clark also serves as Rector of HopePointe Anglican Church in The Woodlands, TX, and oversees congregations in Texas and Louisiana. Our Diocese is a part of the larger Anglican Church in North America, which brings together around 125,000 people across 1,000 churches.